The Mars Society is pleased to announce that it has joined the online Marspedia project started by two other space advocacy groups - The Mars Foundation and The Moon Society - in an effort to build out a great resource for people of all ages to learn more about the planet Mars, promote the human and robotic exploration of the Red Planet and encourage STEM education. The organization is striving to make Marspedia the one-stop shop for all information related to Mars, including: articles describing past historical missions to the planet, current knowledge about Mars, technology related to ongoing exploration, future concepts such as terraforming and plans for human exploration and settlement of the Red Planet. 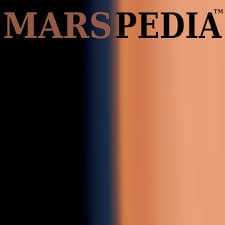 In an attempt to expand the Marspedia project, we are currently looking for interested and dedicated volunteers who are able to help us to improve and maintain the online Mars encyclopedia, which takes the form of a "wiki" that anybody can add to or edit once they set up a free user account. We are also in the process of improving the overall design of the encyclopedia, including creating a new, modern logo for the project. To join this important effort, please visit the main Marspedia web page at www.marspedia.org and access the information under "How You Can Help", including links to the two subcommittees mentioned above. If you have content to share, there is a Submission Form available as well, so you can submit your content and have others post it into the encyclopedia.